One of the joys of my job is being able to see how well we can do things together when all the right pieces are in play. 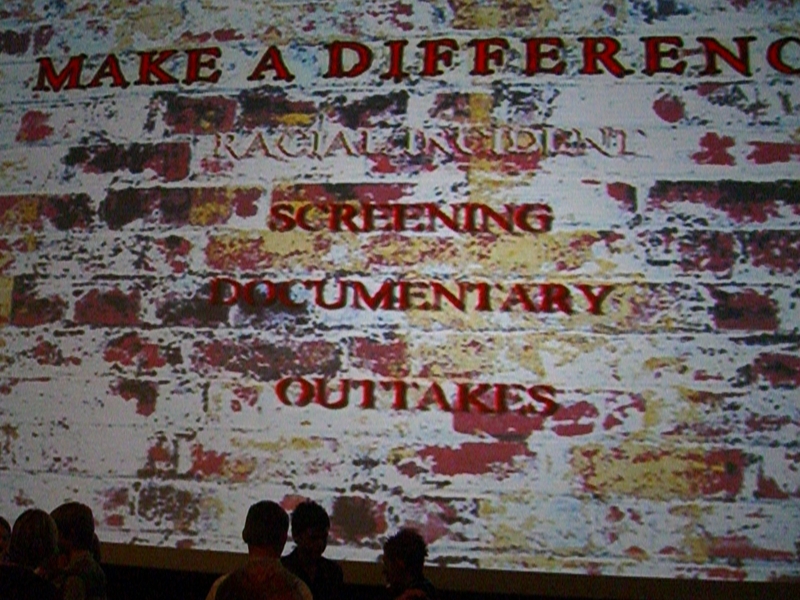 I really enjoyed my evening at the cinema in Hamilton tonight where there was a first viewing of a new DVD called Make A Difference. 3rd year pupils from Cathkin High, Stonelaw High and Trinity High came together with volunteer teachers and police officers from Rutherglen Community Safety Deprtment over several weeks after school. The pupils were involved in producing the DVD – script writing, lighting, camera work, sound, editing and acting. FPS Media provided the techy help. The DVD includes dramas, documentaries and some out takes. It deals with a range of aspects related to anti social behaviour – racist incidents, weapons, loitering and drugs. It was great to see how this multi agency approach with funding from various partners came together to produce such a worthwhile resource which will be used by schools and groups throughout South Lanarkshire.